November is National Adoption Month, and I’m thrilled to have Naomi Quick as my guest poster today! 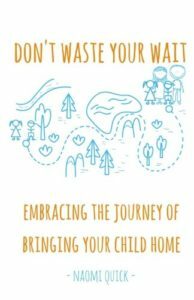 She is a homeschooling mom of six, and the author of Don’t Waste Your Wait: Embracing the Journey of Bringing Your Child Home. 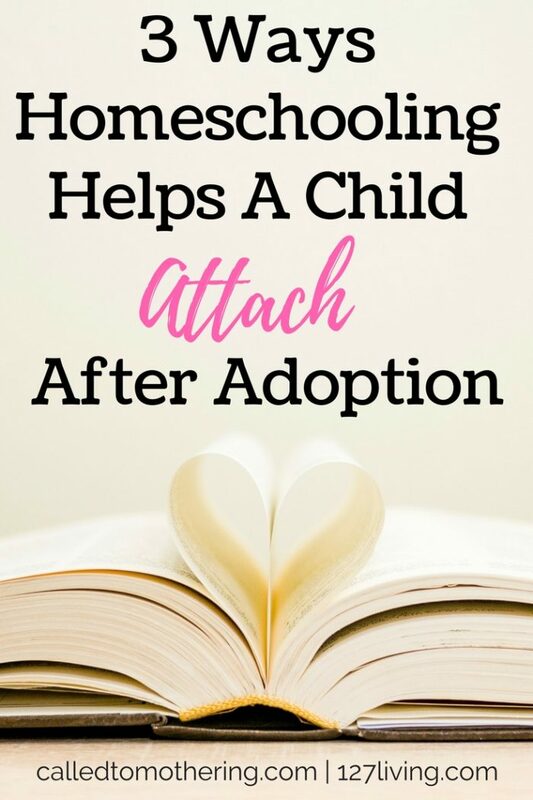 You won’t want to miss her insights into the connection between homeschooling and adoption. Naomi is also generously giving away a copy of her book to one person! Enter to win your copy at the end of this post. We decided to homeschool when we were pregnant with our first child. As a homeschool graduate at 17, I could appreciate the benefits of home education. Benefits such as children being able to learn at their own pace, using teaching methods tailored to a child’s strengths, and incorporating the foundational truth of scripture into everyday learning. 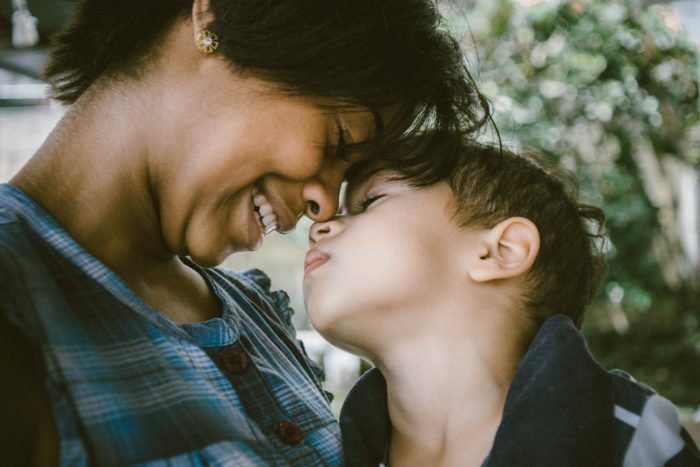 What we did not know was that our decision to homeschool would play a significant role in attachment and bonding, following the adoption of our son. Our son came home just after his third birthday. He had previously been enrolled in a preschool program, and when he transitioned into our home, his schooling transferred to our local early education center. Because of foster care regulations, it took some time- and convincing- to allow him to come home. The game changer was his preschool teacher supporting our efforts. She, too, had seen his disconnect. Every day, on the way home from school, he would cry and repeatedly ask where the bus driver was taking him. He was desperate to know he was coming back to his family. Upon returning home, behaviors would escalate. Sometimes they were externally displayed in aggression, temper tantrums, and yelling. Other times, he would withdraw into himself- unable to connect with us. It was terribly sad and frustrating to watch him struggle so much. We knew homeschooling would calm his fears about being part of our family. We knew allowing him to remain home with his siblings would help him feel more connected. We did not realize the impact it would have on his ability to form a healthy and secure attachment; which, in turn, effected his development and learning! The very benefits I had always appreciated about homeschooling were avenues of healing and attachment for our son. For those who are considering adoption, or those who have already adopted, training will prepare you for the importance of attachment. It is critical to helping your child- and family- thrive! Children who have experienced grief, loss, and trauma (children from hard places) have unique challenges when it comes to education. Because many of these children have learned the art of survival, there are times when their ability to think and process is altered by their body’s fear response. These precious children have survived against unimaginable odds. But their ability to do so came at a price- their tendency to slip into survival mode. When the brain goes into survival mode, it utilizes only the most basic brain functions. Processing, reasoning, and learning when the brain is in this mode is impossible. By allowing a child to learn at his or her own pace, you increase their trust and build their self-esteem. Permitting the child to proceed without the pressures of keeping up with- or being held back by- an entire class, reinforces that you are for them. This combination creates the feeling of safety, which is paramount to learning! It will take time to assess your child’s learning style. That is okay! While many people are concerned about making sure a child doesn’t fall behind, the real goal in education is to grow the child- spirit, mind, soul, and body. Taking the time to get to know your child, and how he or she best receives information is important. It not only helps in tailoring your schooling to help them learn, but it increases their felt safety by reassuring them that you are interested in who they are! Once you identify a child’s learning style, you may need to tailor fit grade levels in subjects to reflect their current strengths and weaknesses. This should in no way shame the child, but rather be used as a way of helping them achieve success. This is one of the most influential pieces of homeschooling. We strive to teach our children that gathering wisdom is a priceless gift, and we desire that wisdom to be heavenly wisdom. God’s Word is living and active. It does not return void, but accomplishes that which it was sent forth to do. His Word is a source of life and wisdom. Instructing our children by incorporating scripture into everyday education lays the foundational framework for living a life set apart for God. Adoption is spiritual warfare. Our adoption into the family of God was redemption at work. When bringing a child in need of a family into ours, we must be committed to that child’s spiritual growth. The most effective way of doing this is to be authentic, love both in deed and word, and cover our child(ren) in prayer and the Word of God. There are wounds only He can heal, and the depth of loss associated with adoption is incredible. We cannot underestimate the need for healing in our child(ren) and our love, alone, is not enough. By incorporating scripture into their daily lives, we are also incorporating it into ours, and allowing His Word to mold our hearts so that we can be the parents He intends us to be! Using homeschooling as an opportunity to create deep relationships with our kids is a joy and privilege. It does not come free from challenge, but it is worth the investment of time, energy, and resources to help our children thrive. Honoring who they are, where they have come from, and what they are going through is an imperative part of everyday life; and when possible, education should be included in that! Enter in the Rafflecopter below for your chance to win a copy of Don’t Waste Your Wait: Embracing the Journey of Bringing Your Child Home! The giveaway runs from Wednesday, November 15 through the end of the day Tuesday, November 21. The winner will be notified the following day. Naomi Quick loves Jesus. She is married to her best friend, John. 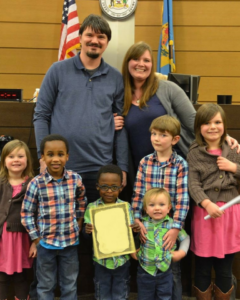 They have six amazing, beautiful kids, two of whom have been adopted from the foster care system. Naomi homeschools their tribe of world changers. She is a type-A, list-making, change-fearing girl living an adventure that demands flexibility, spontaneity, and constant change! Through her words, she prays you’ll find something that points your heart to the Dream Giver and the Author of each of our stories- Jesus. Naomi is the author of Don’t Waste Your Wait: Embracing the Journey of Bringing Your Child Home. She writes over at her site, Living Out 127, and has done a number of speaking engagements and trainings for prospective and current adoptive and foster families. For more encouragement from Naomi, connect with her on Facebook, Instagram, Twitter, and Pinterest.